If you choose our Personal Advice platform then you will be enlisting the services of a highly qualified professional at Financial Choice who will prepare your plan, implement the most tax effective strategies and allow you the time to do the things that you enjoy most. Tell us about yourself. Fill out our online Fact Find, to help us prepare a plan for you. Click here to learn more about our 7-step plan. See our regular video updates on the state of the global economy, and how we see that may effect the market in Australia. We provide objective financial advice and in our clients best interest. Our personal financial advisers are dedicated to our client’s well-being and deliver conflict free advice. We help clients build a strategic financial plan, avoiding high-priced products in favour of affordable solutions. We ensure a transparent experience for our clients, with no gimmicks or hidden fees. How are we paid for the advice services we provide? We charge for our advice based on the time it takes to collect the data, consider the scope of the advice, consult experts and stress test strategies to make sure that they are appropriate and in your best interest. Your portfolio is actively rebalanced and you can choose between a tailored solution of a lower cost automated offering. Have You Ever Considered a Self Managed Super? Since 2006 selfmanagedsuper.com.au has offered expert investment and self-managed superannuation advice to thousands of investors across Australia. selfmanagedsuper.com.au offer two distinct SMSF options. 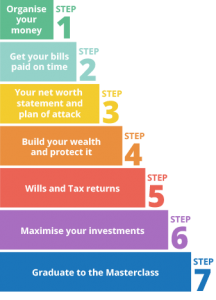 The first is perfectly suited to people who want to set up a self-managed super fund with expert guidance. The second option is for investors who want both financial planning advice and a complete administration and taxation service.